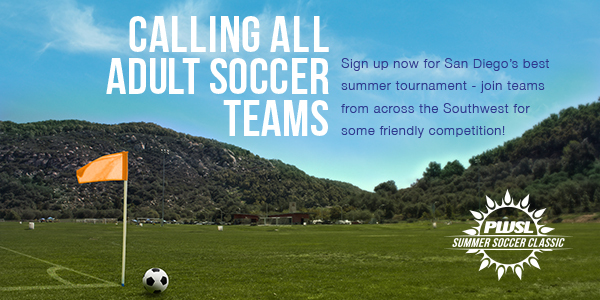 PWSL is excited to announce the 2014 Summer Soccer Classic, August 2-3 2014! The 11v11 full-field, outdoor tournament will again be held at Francis Ryan Park in Escondido and feature women's and coed divisions. For more information please see the fly-outs on the "SSC Tournament" menu above. Check back regularly - we will post updates as we have them! - or contact with any questions. Want to stay informed as we send information out? Sign up for our SSC tournament email list here!